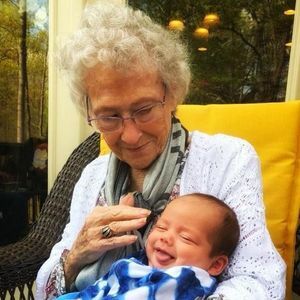 Mrs. Betty Carroll Denny Sinclair, 84, wife of the late Adolph Gayle Sinclair, passed away Thursday, April 11, 2019. Born in Pickens County, a daughter of the late John Wallace Denny and the late Beatrice Powell Smith, Mrs. Sinclair was a graduate of Welcome High School and retired from the VA Hospital of San Antonio, TX. She was a member of Calvary Hill Baptist Church. Surviving are a son, Leland A. Outz of Laurens; a daughter, Carol A. Lewis of Simpsonville; one brother, Keith Smith of Greenville; six grandchildren and seven great-grandchildren. In addition to her husband and parents, Mrs. Sinclair was predeceased by a son, Gary H. Outz; and two sisters, Olivia Bayne and Susan Smith Paramore. Funeral services will be 2:00 PM Monday, April 15, 2019 in the chapel of Robinson Funeral Home-Downtown with Rev. Dave Shorter officiating. Burial will follow in Westview Cemetery, Easley. The family will receive friends from 12:30 PM until 1:45 PM Monday at the funeral home, prior to the service. Flowers will be accepted and memorials may be made to the Lewy Body Dementia Association by visiting their website at Lbda.org; or to the charity of one's choice. 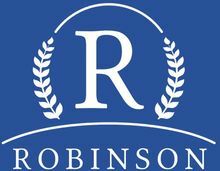 Condolences may be expressed online at www.RobinsonFuneralHomes.com or in person at Robinson Funeral Home-Downtown, Easley, which is assisting the family.